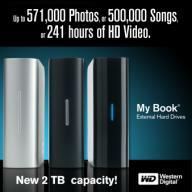 Western Digital continues the developmental prowess by announcing the availability of a new large storage device that has been added to its My Book family of external hard drives. The new addition is the 2 TB External Single Drive System, the largest available capacity for a single-drive system today. With its wide variety of models, WD offers a solution for every type of user, whether they’re a creative power user on a Mac or a home user on a PC. The new 2 TB My Book family includes: My Book Studio Edition, My Book Mac Edition, My Book Home Edition and My Book Essential Edition models. The My Book Studio Edition, My Book Home Edition and My Book Essential Edition 2 TB external hard drives are available now at select retail stores and online retailers. My Book Mac Edition 2 TB external drives will be available next month. Estimated pricing ranges from $329.99 USD to $379.99 USD, depending on drive model and capacity. Freecom has announced the release of a rugged external drive, the �Tough Drive Sport�. The new external hard drive is a durable, shock-resistant, 2.5″ external hard drive designed to endure even the toughest conditions. This latest addition to the ToughDrive family is perfect for heavy duty users that want to carry their data on the move, from backpacking around the world to cycling up mountains. The ToughDrive Sport features a handy loop in one corner enabling easy attachment to bags or belts – allowing people to carry their data hands-free. The drive can also withstand falls of up to two meters and is fully protected against adverse weather conditions associated with outdoor pursuits. The ToughDrive Sport has an outdoor sports design and an integrated USB cable designed to look and feel like a climbing rope – this makes the drive extremely portable as no external power adapter is required for charging. Ideal for mobile use given its size and robustness, the internal anti-shock mechanism insulates the hard drive against unforeseen shocks that could cause damage and result in the loss of masses of data. The ToughDrive Sport holds up to 500GB of information and the Turbo USB 2.0 connection offers transfer speeds of up to 30 percent faster than competing solutions for downloading or uploading data. The drive also features secure password protection whereby the user’s password is encrypted and stored on a 256bit hardware chip. This added security feature gives users peace of mind even where the most sensitive information is concerned as, if the drive is lost or stolen, no-one will be able to access the data it contains without the password. In these instances, the drive would be reformatted, automatically erasing all of its contents and ensuring information doesn’t fall into the wrong hands. First there was Western Digital and then Seagate. Both boasted of the Terrabyte storage capacity, the latest metric used in measuring the amount of space that they could accommodate. Now, Hitachi enters the fray but not on storage but bragging about how eco-friendly their hard drive is. The new drive is the EcoTrac Classification hard drive. The new drive features Hitachi’s EcoTrac Classification. This means it’s halogen-free and has very low power consumption. The new CinemaStar features a read/write power specification of 1.4W–a reduction of 22 percent compared to previous models. According to Hitachi, its new CinemaStar hard drive is best suited for digital video applications that require compact design and low power usage, such as slim digital video recorders, set-top boxes, and surveillance systems. 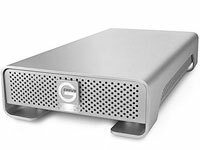 The new CinemaStar drive will be available in capacities ranging between 160GB and 500GB and is expected to ship during the second quarter of the year. For now, it’s unclear how much the drive will cost. If you are the environmentalist freak who wants to do his share for environmental improvement, then this is the hard drive for you. It may not yet be in the terabyte era but surely, it will be in a matter of months. Google has certainly been aggressive lately and now it looks like they have ventured out into the external drive business but online. Or at least that is what this GDrive is basically all about. The GDrive will allow users to save their data online and users will be able to access their data from any computer in the world. The GDrive could also partially replace the physical hard disk that a user needs to select an operating system (OS) for usage — that is, after the initial booting. Google’s online hard drive will merge all of Google’s web based applications and make them available together. In short, it is designed mainly for saving online data and being able to access it from any computer in the world. However, space restriction and reliability could be a user’s concern while depending on the Google servers to save their precious data. Overall, it looks like any similar online storage option that is offered today. If there is any difference, it is perhaps because of the brand name, Google. Once the GDrive is launched this year, expect a lot of people trying it out, particularly the ones who have a lot of files online. Also, it wouldn�t be surprising if this would be offered to people with Google accounts. The only question is would it be an add-on or free if you are an existing subscriber. For some years now, I still prefer to use a desktop over a laptop. Perhaps a lot of it is due to the fact that I am not a mobile person meaning I would prefer to stay in one secluded place to work rather than carry a notebook and find places such as Starbucks or any socially populated place where I can work as I wish. Sad to say, I prefer to be pinned to one place with no one to bother me. This reasoning will surely draw a lot of criticism. For one, desktops are bulky (although there has been a lot of modified designs these days), making it impractical to transfer or bring along wherever you may be. The choice of whether you want to use a desktop or laptop hence depends on the nature of your work. If you are the blogger or programmer, you would want to have a desktop in one place where you can just sit down, focus and do your work. Laptops on the other hand are for the mobile executives. Normally you would see people in sales or executives who rarely stay in the office as having them. They are not the type who will use a computer to do programming or even graphics designing. They need these laptops to aid them in presentations or even in receiving and sending email. So as far as determining on which you would want, don’t just consider the price. Be practical and select the one that suits your needs. It is all about defining what you really need as far as computers are concerned. For people who have computers for quite some time, you would normally notice that your CPU would be as silent as possible. Aside from perhaps the fan or when your CD drive loads, you would hardly hear a thing. When you boot up your PC, the beep is all you expect to hear. But what if you suddenly hear something weird such as clicking sound? Chances are you will open it up and try to find if there is something malfunctioning. In some cases, you may notice that it is coming from your hard disk. Once this happens, rest assured your hard disk is about to give way. Hard drives have a certain life span. Some say it depends on the brand but others say that they are just the same. The thing here is that your data and files are perhaps the most important stuff to be considered. Once weird sounds start, you better start backing up your files by writing them on CDRs. If you value your files and important documents, you should do it immediately. While you can make use of the hard disk drive for the meantime, you never know when the next time would become the last. 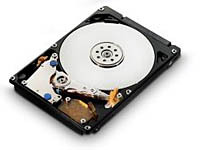 Some say that files can be retrieved from bad sectored hard disks. But once you hard disk no longer responds, chances are you will say bye bye to all the files and the hard drive. At this point all your hard drive can be is paper weight. It is no longer usable as powering up will just be futile for you and your hope of retrieving your files.